French hi-fi specialist Advance Acoustic brings cheer to British audiophiles this month with a comprehensive collection of hi-fi equipment, available in the UK for the first time. Thanks to Nottinghamshire-based distributor Transparent Audio, the entire French-designed, entry-level electronics range will be available to try and buy. Advance Acoustic's wide-ranging spread of equipment is priced between £250 and £600 and includes a CD player, two preamplifiers, two power amplifiers, four stereo integrated amplifiers and two iPod-specific hi-fi systems. 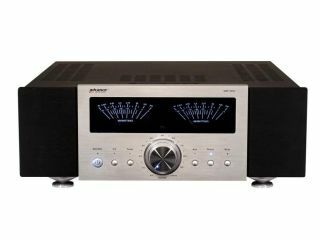 Arguably the most important product, however, is the 100-watt MAP305 DA II integrated stereo amplifier (£600), which has an on-board DAC (Digital to Analogue convertor) allowing the direct connection of digital products, such as media servers, DAB radios and CD players. At £600, the MAP305 DA II is the cheapest hi-fi amp around to flaunt the new trend of on-board D to A conversion. It follows in the footsteps of Naim's SuperNait (£2,350) and Musical Fidelity's A1008 (£2,999), which are considerably more expensive. Controversially, the brand is also bucking the trend for one-box CD players with a two-box transport and DAC, which is due for release later in 2007. To complete the hi-fi experience, Advance Acoustic also has a number of loudspeakers on offer, ­which are available to order from Transparent Audio.